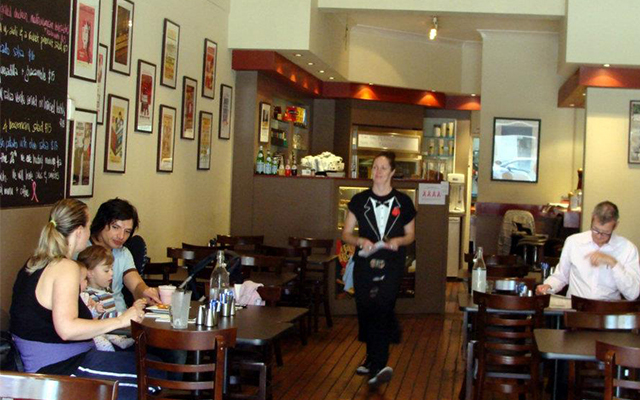 Looking for a great, affordable, place to eat in Sydney? Look no further! Let Jo Charters, Open Colleges student, inspire your culinary adventures with her top five places to eat in Rozelle, Sydney. 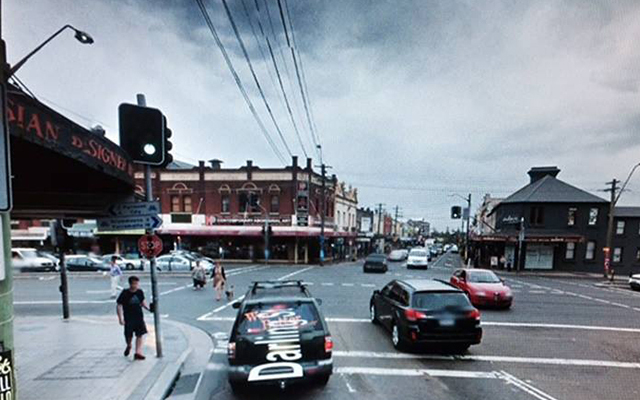 Nestled outside the main vibrant area of Sydney’s Balmain sits the beautiful locale of Rozelle. Here, you will find some adorable, neighbourly eateries, all in walking distance of each other. Sitting just a small distance from Darling Street is a favourite of the locals, 3 Weeds. 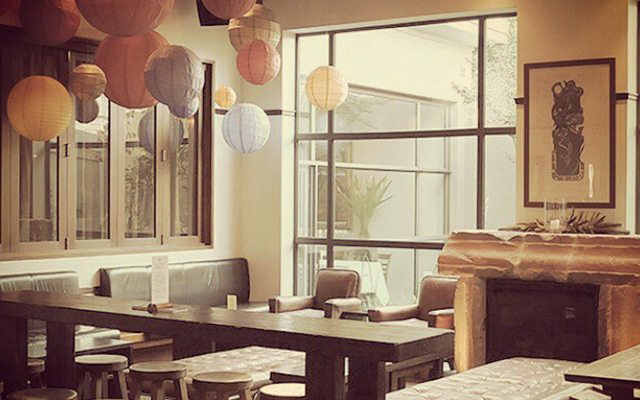 This one eatery can meet everyone’s taste, offering different rooms, each with its unique vibe. Spend a relaxed Sunday afternoon with some acoustic guitar and gourmet pizza ($18), or enjoy bar room food spilling over on chunky chopping boards (ranging in price around the mid $20s). Meanwhile, the main restaurant hall boasts a noisy social feel, and features long heavy wooden tables where you can sit beside strangers. If you prefer a quiet space, 3 Weeds offers a tiny restaurant room with elegant white table cloths to match its elegant food. For the bookish, you can take a seat in the plush leather lounges located in the quiet and cosy library room, tucked away from the pub’s hustle and bustle. Down a neighbourhood street you will find the casual local pub, The Welcome. 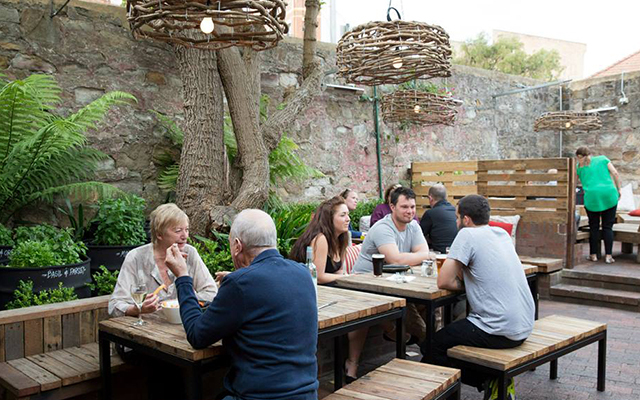 It has two popular sections – the original beautiful old main bar and the outdoor lively beer garden with old wooden tables, umbrellas in the summer and cosy heaters in the winter. A favourite time for the locals is the football finals when a big screen is the centrepiece for watching the games. The Bar and Beer Garden Menu showcases an exciting array of traditional pub food. On a sunny day, sitting in the Beer Garden, it is hard to go past the fried zucchini flower with goat’s cheese, almonds and thyme at $5.00, followed by homemade saffron rigatoni with pork, porcini ragu and shaved pecorino at $22.00. For those who prefer fine dining, The Welcome’s Italian Restaurant, Ajo, offers special mid-week lunch menus. If you love the vintage ‘70’s feel, take a trip to The Dicks Hotel. This establishment feels like the authentic pub your Dad might have visited for a beer on a Friday afternoon. 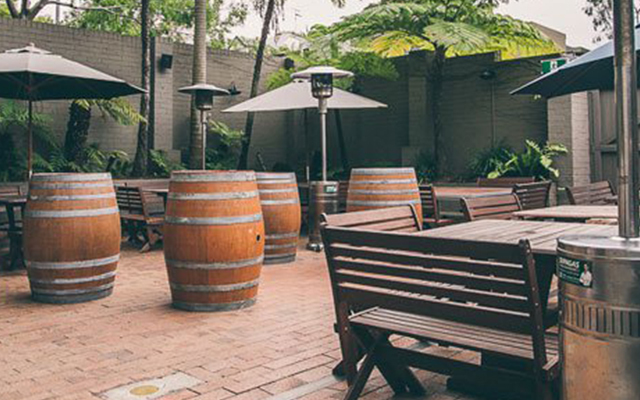 The beer garden has massive sandstone walls with a sheltering dome, creating a fun outdoor area which is protected from the elements. There is plenty of space for big group gatherings or parties, and The Dicks Hotel been known to “go off” on Anzac day with games of two-up. Cleverly, this establishment has butcher paper and crayons available for children to entertain themselves. At $4, a hundreds and thousands topped ice-cream should also keep the kids happy. Meanwhile, the entrance on the lower level is located to the side and takes you straight into the beer garden under the dome, providing easy access for families, prams and wheelchairs. As an added bonus, this hotel offers a cute dogs-only area for your four footed friends! As well as the traditional hotel food menu, The Dicks Hotel also features an appealing array of share plates, including, a plate of chargrilled chicken, haloumi, chimichurri salsa, aioli, tomato and wild rocket on zoccoli with fries ($18), as well as hand food and pizzas. An outside table at The Bean Café Bar and Bistro is the perfect spot to enjoy your newspaper on a sunny Sunday morning. The owner’s love of music and vintage films is showcased by the array of old movie posters inside the café, and only a short stroll across the street is the wonderful weekend Rozelle markets. The all-day menu averages from $12 to $15.90, with lemon grilled haloumi and dukkha poached eggs a breakfast favourite. As an added bonus, this establishment also welcomes dogs! 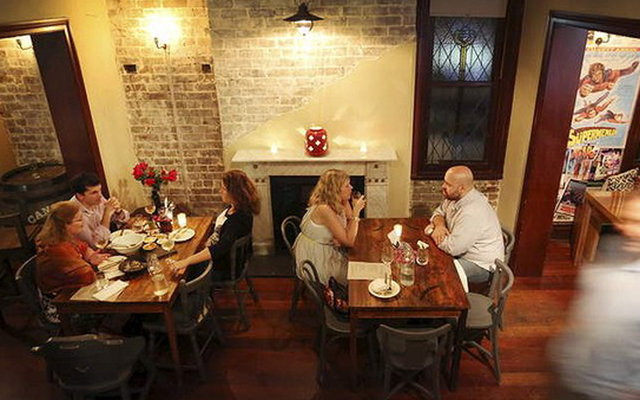 Located halfway between Balmain and Rozelle is the vibrant, authentic Turkish restaurant Efendy. On Saturdays and Sundays, you can sit in the quaint courtyard and enjoy the all-you-can-eat traditional breakfast priced at $30 per person. The van-style breakfast menu includes more than 30 different types of Turkish breakfast delicacies, including stone oven baked pide, cheeses, jams, spreads, mezes, menemen eggs, fruit and so much more. Efendy was the winner of the Sydney Morning Herald ‘Good Food Best Breakfast Sydney 2014’ title. These five establishments are in walking distance of each other. So why not make the most of a beautiful sunny spring day, and experience what the Rozelle and Balmain suburbs have to offer.